Gor Mahia’s are about to start a difficult stretch in the 2017 Kenya Premier League. Whereas the first part of their schedule involved playing two newly promoted sides, they will now go through a stretch where they will play seven title contenders in succession. It starts this weekend with a match against defending champions Tusker. Though Tusker have started the season poorly, if there is anything that will make their players focus, it is a match against Gor Mahia. Which means Kogalo will need to be at their sharpest as they play Tusker whom they beat earlier this year in the Supercup. “It’s going to be a very difficult match, they are a strong team that is not in a good position currently to reflect their status as champions, but we are preparing well to make sure we get maximum points” skipper Musa Mohamed told Citizen Sports. Tusker coach George Nsimbe is confident that the players who were demoralized due to shabby treatment by club management, have put their problems aside and are ready to put their best foot forward. “ “We have to handle Gor Mahia like the table leaders that they are. That doesn’t mean that we fear them, it means that we handle them with a little more seriousness. My players are motivated and eager for the match. Everybody has been training very hard for the game because they know they will be facing a very strong team with massive support. This is not new to the boys.” ” Nsimbe said to the official league portal. 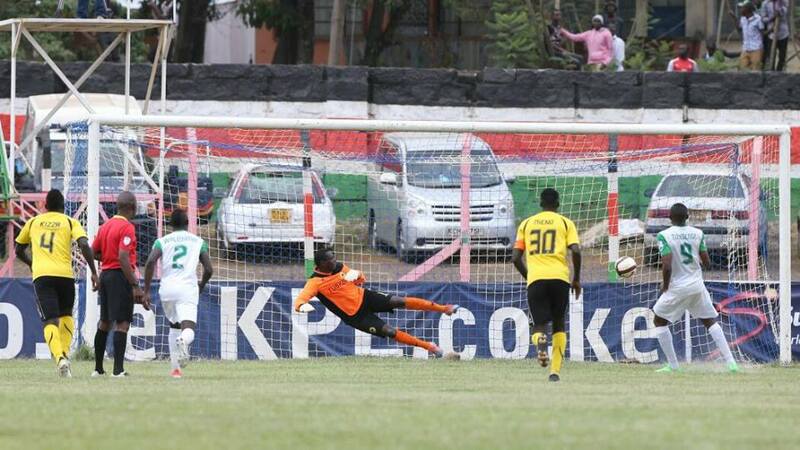 Tusker’s poor start which saw them eliminated by a lowly Indian ocean side from the CAF champions league, has been attributed to the fact that the players felt they were not adequately rewarded for winning the Kenya Premier League in 2017. Following this stretch, they will play Posta Rangers who are currently second placed, Nzoia United which is the best of the newly promoted teams then Ulinzi Stars. Musa Mohamed is confident that with Ze Maria and the players available, Gor Mahia will pass these tests with flying colours.“He has the experience to deliver all the titles that we need this season we have targets set for and game by game we are working towards achieving them. “The squad has enough experience and good competition in every position to deliver a treble and Iam sure we can achieve that,” he continued. Gor Mahia trainer Sandro Fantoni will serve a three-match touchline ban and be forced to pay a Sh100,000 fine. The Italian trainer has also been warned on his future conduct by the IDCC after being found guilty of provoking a Muhoroni Youth club official, and engaging with a fight with GMT Ottieno, who is a former referee and official of the Kenyan Premier League. KPL are cracking the whip on unsportsmanlike conduct. Mathare United coach Francis Kimanzi will serve a one month touchline ban and was also fined Sh50,000 by KPL’s Independent Disciplinary and Complaints Committee after he was found guilty of failing or refusing to leave the technical area as ordered by the referee during a league match pitting his club against Sofapaka FC at the Nyayo National Stadium last November. AFC Leopards have also been fined Sh150,000 for failing to control its fans in a game against Kakamega Homeboyz. Leopards have also been ordered to pay a fan who was injured in the ensuing confrontation of Sh27,000 as a refund for medical expenses incurred and “pain and suffering”. All this means Gor Mahia fans and officials will need to watch their step. Go for goals and nothing else. No time for entertaining soccer and numerous back passes,attack, attack, attack. Lose the ball and defend,defend,defend.We have a big mountain to climb in the next five matches.May God help us surmount the mountainous task ahead. Hehehe…Jasego, the 4 million problem that nobody wants to talk about. He cant be playing day in day out and not scoring. Twice this season he has received the ball ahead of opposing defenders and instead of charging into the box either to shoot or get tagged back for a penalty, he turned back in field looking to pass!!! Top striker indeed. I dont want to criticize him too much as it is still early days but he must man up. I made a prediction at the beginning of the season that if at 10 matches he wont have scored 5 goals he needs to be benched. Christmas came early. Finally, if you were at Kisumu last weekend, i want to ask if you saw that every time we had the ball, the terraces were shouting…mbele, mbele, mbele….If you did, what is your take?? First I think its the other teams who will have to fight and some will use all tactics like coach ken Kenyatta once did. Kagere is a top striker and if the coach gets him a suitable partner then we are done. We sofaset branch Tanzania are in pain.Can FKF please find an alternative to DSTV. If Kogalo can collect 5 wins in the next 7 matches (which is very difficult), they will have a significant lead. It is especially important to beat the teams that are breathing down the neck. Why do almost all journalists including Mr Admin always call Mathare title contenders?. Someone explain to me like i am a small child!! So hooliganism is not tied to Gor Mahia alone? Kimanzi, Ingwe…the list grows everyday. As for the Garissa branch, we no longer have reason to reactivate our DsTv subscriptions because the matches don’t matter to FKF. Please let our 4m problem warm the bench until he learns to shoot the ball towards the net. No need for spoonfeeding adults, this is Gor Mahia and results are mandatory. Tusker lacks the motivation to defend their title since they were dismally rewarded for their hard work last season. Let our players take advantage of this low moral regime and exploit it by a 3-0 margin.